Jeannie Cannon comes from a family of large women, and at 318 pounds, she had one goal: not to end up in a wheelchair like her mother. (Even after having her stomach stapled, her mom is still overweight.) 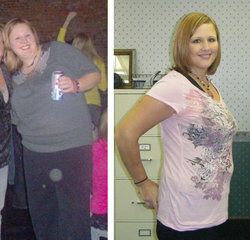 Jeannie had resigned herself to a life of obesity but continued going to Curves inYukon,Okla., to exercise her knee. One day, the only trainer in the gym refused to help unless she stepped on the scale. 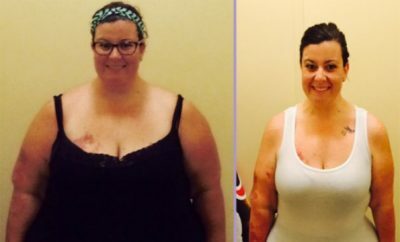 A month later she discovered she had lost 16 pounds—without trying. 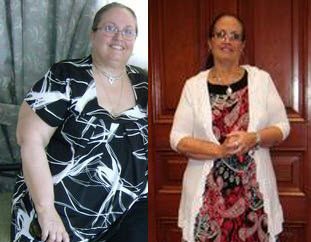 This surprising dip in weight was the encouragement Jeannie needed to restore her health. She had long given up on the weight loss game because Weight Watchers and other diets offered only temporary fixes. 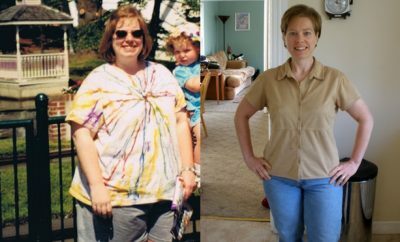 Every time she stopped following a plan, she would gain back the few pounds she had managed to lose. 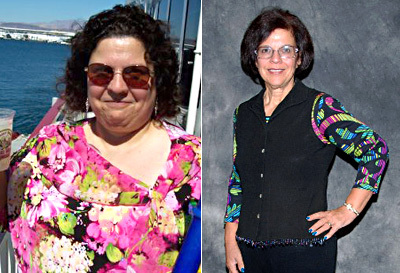 But in early 2009, after a few consecutive weeks of regular exercise, combined with mild dietary changes—more vegetables, less fried food—she realized she wanted to change her body for good. The self-employed 53-year-old goes to the gym five or six times a week. She typically spends an hour doing a preset circuit that rotates her through a lower-body machine, cardio routine, and upper-body machine. She walks 3 to 4 miles in the evening. Two years ago she could barely make it to the end of the block. Neither Jeannie nor her husband likes to cook, so she’s learned to order restaurant items that are grilled or sautéed. And she strives to eat a vegetable with every meal. Stay connected. Find a support system whether it’s online or at the gym. If Jeannie is running late to the gym, she’ll get a call or text asking her whereabouts.